On 14th May 2017, China’s President Xi Jinping sought to attract countries to join his ambitious “Belt and Road Initiative” at an international forum on Sunday. Xi’s massive trade and investment grand plan seeks to connect nations along the new Silk Road routes through economic cooperation and infrastructure development. We sum up Xi’s key offerings as covered in his keynote speech at the Belt and Road summit on Sunday morning. China’s Silk Road Fund will increase funding by 100 billion yuan, Chinese banks will extend 300 billion yuan in overseas capital, the China Development Bank will splash out 250 billion yuan, and the Export and Import Bank of China will add 130 billion yuan in special loans to Belt and Road projects. In all, China pledged at least 780 bllion yuan for this grand belt and road initiative plan. “China’s Belt and Road Initiative is based on the historic roots of the Silk Road, it focuses on Asia, Europe and African continents, and is open to all friends,” Xi said. Speaking against the rising trend of protectionism characterised by some of US President Donald Trump’s policies, the Chinese leader said that two millennia ago, the ancient trade routes used to be open, tolerant and strove towards win-win cooperation. 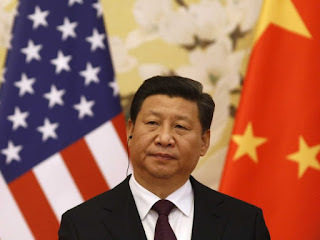 The modern world today, being more interconnected than ever, was in a position where difficulties could be resolved in many different ways, he said. Where does the money come from in this grand plan? China would work with the Asian Infrastructure Investment Bank, the New Development Bank and the World Bank to support Belt and Road projects, Xi said. An international import fair would be held in China next year. Beijing would also set up a liaison office for follow-up activities generated after the two-day Belt and Road Forum for International Cooperation. During his speech, Xi reiterated Beijing’s objectives for the Belt and Road initiative. The president cited China’s previous efforts in reaching out to the rest of the world, saying that Chinese people’s interactions with the world relied not on gunboat policy, but “envoys on camels with a sincere attitude”.